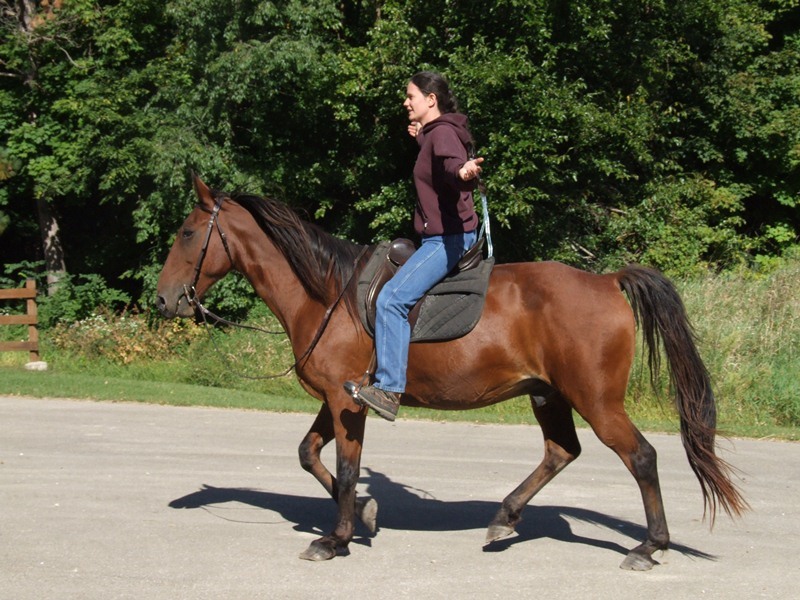 For Sale: Great gaited trail horse! Ranger is a 15 year old Tennessee walking Horse. He is totally sound and very healthy. He is a fantastic trail horse. Ranger goes through water, through mud, and over logs. He has a great, smooth gait that can be ridden on a loose rein. Ranger is great on the road. He is good with bicycles, kids, and dogs. He stands tied and loads great! He is great about taking food. Ranger is an easy keeper and maintains good weight with just grass and hay. He is used to being out in the elements. Ranger parks out to be mounted. He has only begun his training for that, so it will only get better! He has been ridden on many busy roads and. He can be ridden western or English. He is ridden in just a plain snaffle. He neck reins a little bit. Did I mention he is a gaiting machine? !